A couple of years back The Beach Boys were responsible for one of the worst hangovers of my life. They were the surprise act at the opening party for a Fifties and Sixties themed hotel where I was staying in Orlando and I got so caught up in the feel-good music that I missed the entire buffet (most unlike me) and consequently drank far too much on an empty stomach. 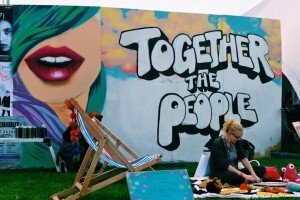 Now, founder member Brian Wilson is set to perform at Together the People in Brighton’s Preston Park, including, for its 50th anniversary, the entire Beach Boys’ Pet Sounds album (you know, the one that’s always in the top three in lists of the most influential albums of all time). The second day will be headlined by Suede. 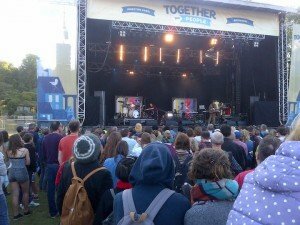 I was at the inaugural Together the People last year with my brother, who had noted the free children’s places up to 11-years. Unfortunately such generosity hasn’t lasted and this year you’ll pay for kids over three. Despite this, the festival is otherwise set-up with families in mind. When we arrived with my nephews (then five and seven) we were directed straight to a booth where they were given wristbands with dad’s mobile number. I also spotted notices saying earplugs were available on request. 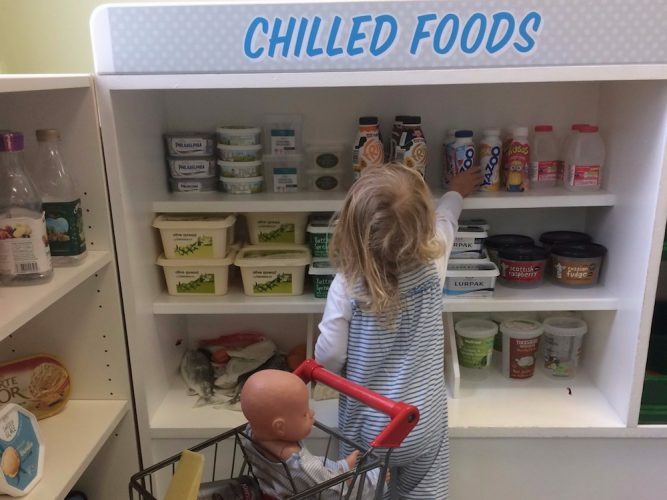 There is one child-focused show a day: it was Horrible Histories and The Cat in the Hat, when we visited – Aliens Love Underpants and Lazytown are live this year and Music for Aardvarks will be doing preschoolers’ sing-alongs. There are also arts and crafts sessions and wandering entertainers. There were two main stages (a bit close last year, so there was an annoying sound bleed between them at times) and some smaller performance tents. We arrived around 1.30pm on the Sunday when it was pretty quiet but it started filling up from 3.00pm. My brother reckoned it was about the size of Surrey’s long-running Guilfest. 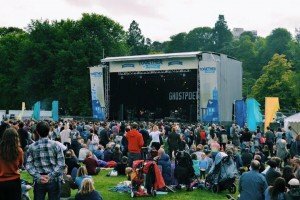 For a start-up festival it had drawn a good line up – Billy Brag and the Levellers, Super Furry Animals, Ghostpoet, Jose Gonzalez, Roots Manuva. This year along with the headliners you’ll get the likes of The Horrors, Gaz Coombes, Nathaniel Rateliff & The Night Sweats, Hiatus Kaiyote, and Peter Hook & The Light performing a Joy Division and New Order greatest hits set. There’s the odd spoken word event too like Poets vs MCs. The festival’s also a good way of discovering local bands. I stuck some names I didn’t recognise into You Tube before I went to prioritise which of the stages to target when. Despite their sound problems my brother and I particularly enjoyed Brighton’s Normanton Street with their unusual mixture of strong blues vocals, rap and saxophone, which prompted us to later see them at their own gig at the Dome. Oldest nephew was less impressed but I call that sweet revenge for all the times he’s forced me to listen to One Direction. Youngest just wanted to know if the rapper was going to do Cat in the Hat. 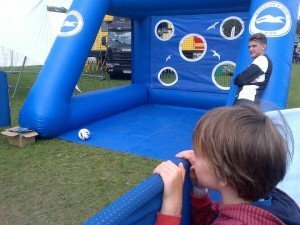 Brighton FC’s football scoring game with an inflatable goal, and a mobile Picturehouse cinema showing amateur animations from local schools and community groups drew most of the boys’ attention. It being a school night, around 5.00pm they went off home to tea with their mum and we stayed on for the evening, so they just missed out on Public Service Broadcasting who they would have enjoyed, not least because they had an astronaut on stage. 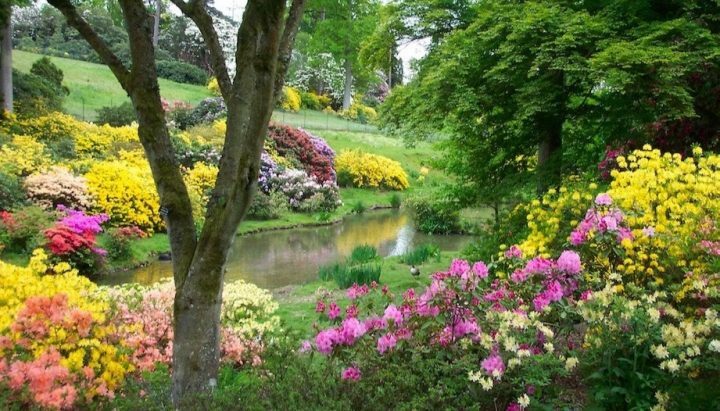 A couple of little girls were jigging along with their parents next to us until one slid down to sleep on her back on a picnic blanket at their feet, ear defenders still clamped to her head. The food is certainly worth a mention. Rather than choosing the lesser of several evils we found ourselves spoilt for choice from an array of quality street food stalls. The wood fired pizzas I saw looked great but I plumped for a burrito and glass of inexpicably cold red wine. The prices weren’t too bad either. On the subject of price. You can of course add plenty of extras to the entry fee. 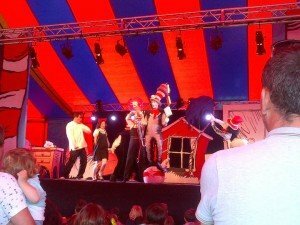 There were the ubiqitious ice creams, plus dodgems and hoopla in the small fairground area and youngest nephew decided he couldn’t watch The Cat In the Hat without being The Boy with The Candy Floss. The gate will let you bring in snacks for kids though, if not a full-blown picnic. 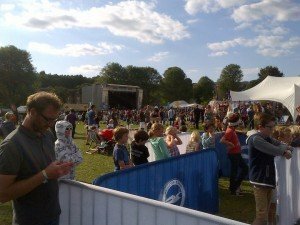 The festival is however good for balancing child and grown-up interest and up-and-coming, current and retro bands and may be particularly handy if you’ve tweens or early teens. 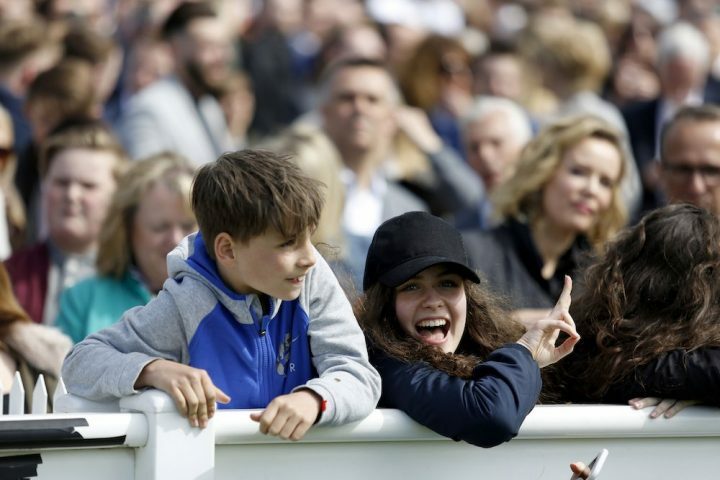 Prices this year are £55 for an adult day ticket, £27.50 for 11-15-year-olds and £12 for 4-10s. Weekend tickets are £95/£50/£20 (but nope, you can’t camp). Tickets are available on line with a booking fee or (last year at least) on the gate.